Much of the recent news in the surfing world recently had been related to the introduction of random drug tests for professional surfers. Although the drug tests are a new thing in the extreme sport of surfing, they are a regular occurrence in many of the sports that we know and love. The tests are being carried out by the Association of Surfing Professionals and although the guidelines have not yet been published they are thought to be similar to the guidelines set for Olympic athletes. Drug testing has been pushed for ever since the late 80’s/early 90’s by long term surfer and former state legislator Fred Hemmings. Hemmings claims the main purpose of the tests is to help surfing professionals to identify any problems that they have with either drugs or alcohol. Whilst surfing isn’t especially thought to be plagued by those with addiction the new guidelines are said to be there for the benefit of the surfers. The tests are going to be performed at random and the only time the public will get to see the results of the tests are if a surfer returns three positive recreational substance tests or if the drug found to be in the surfer’s system is a performance enhancing drug. What do the Surfers Think? According to the Association of Surfing Professionals many surfers are in favor of drug testing with many surfers saying the idea was great. A few however have made silent concerns about marijuana and alcohol being amongst the drugs that are being tested for. Under the new rules professional surfers can be tested for anything from recreational substances such as marijuana and alcohol all the way through to harder drugs like cocaine and of course performance enhancing drugs. The ASP has announced that they understand the surfer’s worries about alcohol and this may be reviewed sometime in the future. Multi award winning surfer Kelly Slater has openly stated that the drug tests pose no problem for him. He claims that elite sports men and women are expected to apply themselves to the sport correctly and if it’s good enough for other extreme sports it’s good enough for surfing. 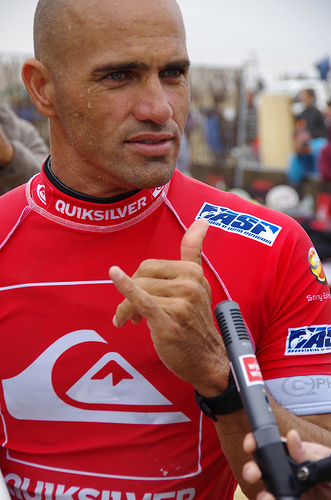 Although Slater himself has questioned how easy it is to “cheat” whilst surfing (due to the sport not being purely strength based but focusing on other elements such as decision making and skill), especially when compared to sports like athletics when performance enhancing drugs clearly can improve an athlete’s ability he did state that if the drug testing only works to keep the surfing fans and the public happy it is totally worth it. Slater, like many other professional surfers, did however express his intrigue concerning how the ASP are going to maintain the alcohol guidelines especially as many surfing events are even sponsored by beer companies. The first event where these guidelines will be in place will be at the Quiksilver Pro at Snapper in Australia and it will be interesting to see how things pan out. This entry was posted in Featured, News, Surfing, Water Sports and tagged Association of Surfing Professionals, Drug Testing, Kelly Slater, Surfing. Bookmark the permalink.